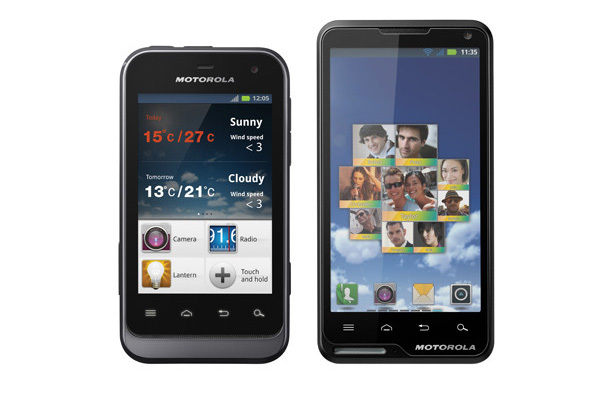 Motorola has unveiled Motoluxe and DefyMini, its first two handsets for this year. 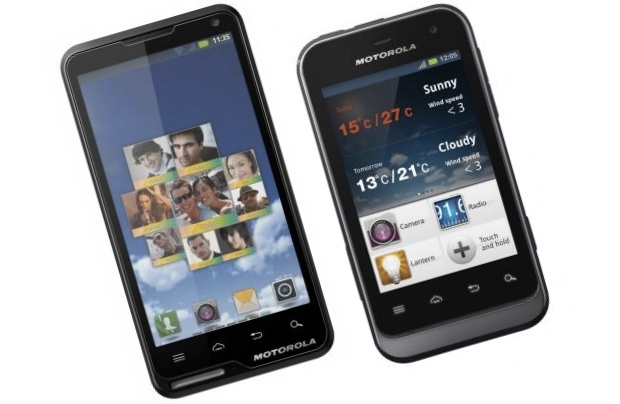 Motoluxe features 4.0 inch display with 800 MHz processor. It is equipped with 512 MB RAM and 1 GB ROM and runs Android OS, v2.3.7 (Gingerbread). It has 8 MP primary camera at the back and the front facing VGA camera is for video calls. Motoluxe’s 1400 mAh battery promises 6.5 hours of talk time on 2G and 4.5 hours of talking over 3G networks. Now let us look at Defy Mini. It sports 600 MHz mobile processor which is slower than the 800 MHz used in the original Defy. It has a modest 3 MP camera at the back and there is also a VGA front facing camera. Defy Mini runs Android 2.3.6 Gingerbread while the 1650 mAh battery promises up to 10 hours of talk time. It has 512 MB RAM and 512 MB ROM. Both of these devices are expected to be launched by this Spring.